New home ready May 2019! Estates at Eastmark, a gated community that features a community pool and clubhouse with a workout facility. Full view fencing backyard home site. Your designer inspired home comes complete with gourmet kitchen, 42'' maple cabinets, microwave-wall ovens, stainless steel appliances (gas), quartz counter top. 6'' x 36'' plank wood look tile. The private master retreat has a generous walk-in closet and spa inspired bath with upgraded shower complete with tile flooring and surrounds, separate sinks with quartz. Two secondary bedrooms come complete with private baths and walk-in closets. Over sized Den. 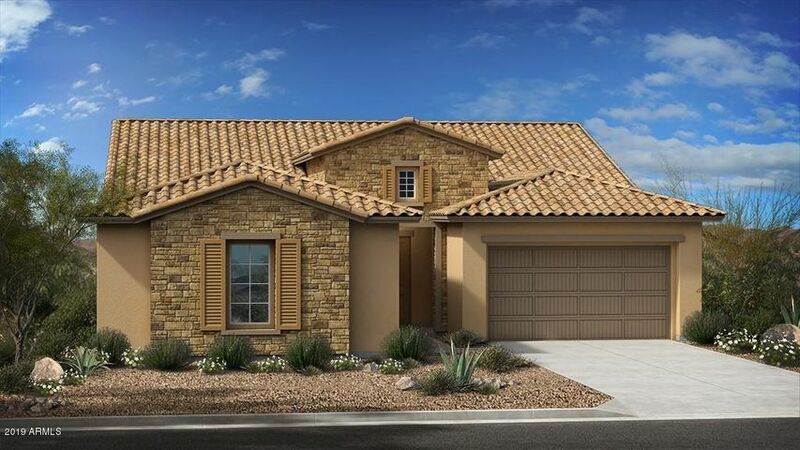 Single level with 10 foot ceilings and 8 foot doors, full 3 car garage... plus so much more. This home has an hacienda elevation.